So, I’m finally getting around to writing up some of my thoughts more than two weeks after returning from Haiti. First of all a little history is in order about my involvement with the program. 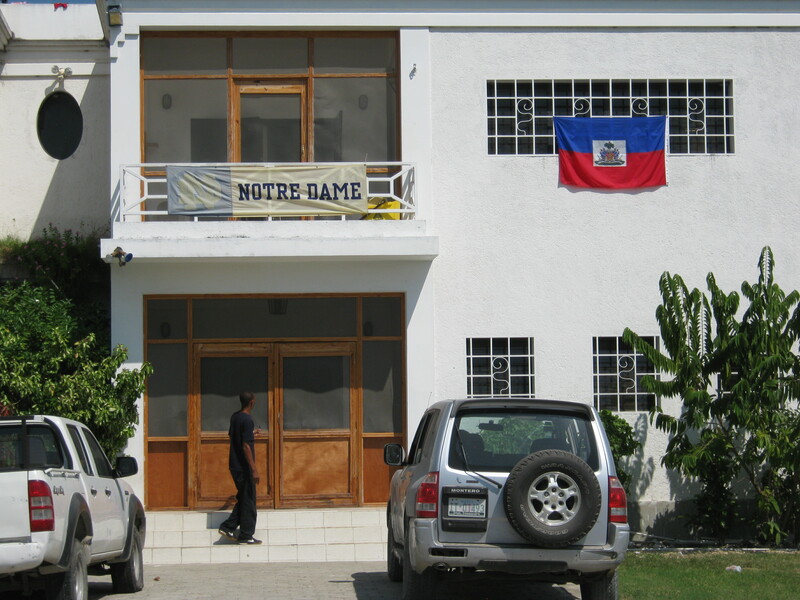 In late Summer of 2010, I began working with the Notre Dame Haiti Program on an advisory basis for some of their technology needs. As I was already busy with video services and IT project management at Notre Dame, most of this engagement was done on my own time – including nights and weekends. From my early observations, the program was doing incredible work, but was lacking in many areas of technology, which I thought, with my interest in technology for social good, could really prove beneficial to their goals. I began meeting regularly with several of their leaders, as well as the contacts in Haiti, and over the course of a few months was able to gain a better understanding of their goals and how the program operates. In doing so, I was able to dive more deeply into the question of how and where Information and Communication Technologies (ICTs) could help. One of the first topics I started investigating was the use of mobile money for the program in making payments to the workers in the salt fortification plant. This was just as mobile money services were being launched in Haiti, so much of this was very new and exciting – this is something I wrote about in a previous post and again here. Of course there were some small scale IT equipment donations, Wifi routers, printers, projectors, etc…but I was really looking for big impact. What could we do as an IT organization to amplify their affect of their mission. Eventually, after all of the discussions about where their needs existed, we started developing some direction on how exactly we could help the program from a technology perspective. This led to the recent visit to Haiti by two of us from my department to conduct further research and development on these ideas. 1) Overall IT assessment of the four facilities used by the program. 2) Use of FrontlineSMS for mobile data collection. 3) Mobile money and payroll for the salt factory employees using Digicel Tcho Tcho Mobile. 4) Meetings with ISP’s, Mobile Network Providers and other technology stakeholders. Even though we are still processing much of this visit, we are working towards the final report for our leadership and that of the ND Haiti Program. We hope this is the start of forward progress with technology and some great things for the ND Haiti Program. More posts to come on this topic.